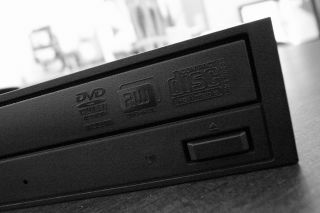 DVD drive makers settle class-action lawsuit. You might not remember the last time you installed a game using optical media, but assuming that's the way you used to do things before Steam, you might be entitled to $10 or more simply for having owned a DVD drive. That's the end result of a class-action lawsuit that took over seven years to settle. The lawsuit alleges that optical disk drive (ODD) makers shared bids with each other when selling drives to major OEM system builders, such as Dell and HP. According to CNET, there was an investigation by the U.S. Department of Justice that led to at least one Hitachi-LG executive receiving a six-month prison sentence after pleading guilty to the conspiracy. Hitachi-LG, Panasonic, NEC, and Sony settled the class-action lawsuit in December. If you purchased a DVD drive between April 1, 2003 and December 31, 2008, you can file a claim to receive $10 per drive. This applies both to standalone DVD drive purchases and those that came pre-installed in a laptop or desktop. No proof of purchase is necessary to file a claim, though you may be asked to provide a receipt. "The Settlement Administrator has the right to request verification or more information regarding the claimed purchase(s) of Optical Disk Drive products for purposes of preventing fraud," the fine print reads. We suspect that will only happen when someone claims a large number of ODD purchases, though if you still have a receipt after all this time, you might as well hold onto it for a little while longer. There are other caveats. Even though Panasonic drives are included in the settlement, it does not apply to Panasonic PCs. Also, only half of the country is eligible—you would have needed to reside in Arizona, California, District of Columbia, Florida, Hawaii, Kansas, Maine, Massachusetts, Michigan, Minnesota, Missouri, Montana, Nebraska, Nevada, New Hampshire, New Mexico, New York, North Carolina, Oregon, Tennessee, Utah, Vermont, West Virginia, or Wisconsin at the time of purchase. If you qualify, go here to file a claim.